Volunteerism is a powerful means of engaging people in community service and it can transform the life and dignity of our seniors and members. Volunteerism benefits both our community at large and the individual volunteer by strengthening trust, solidarity and reciprocity among citizens, and by purposefully creating opportunities for participation. Maple Knoll Outreach Services for Seniors embraces volunteerism and recognizes volunteerism in its diversity as well as the values of engagement, commitment and solidarity that sustain it. Volunteering is a rewarding way to get involved, meet people and it's fun! For more information on volunteer opportunities, call (513) 686-1010. Contact our Volunteer Coordinator Greg Fielder. She can also be reached at 513.686.1010. 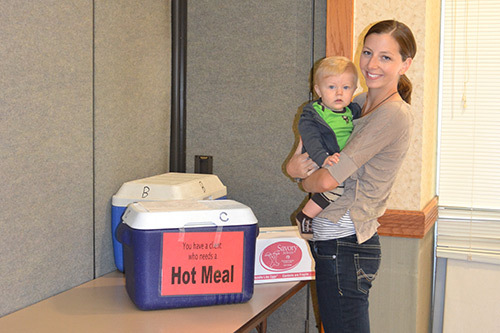 To arrange home delivered meals, call (513) 686-1003 or email our Outreach Coordinator.